IMPORTANT: In accordance with PA Child Protective Services Law (CPSL), all employees and volunteers that are in direct contact or responsible for caring for children in regularly scheduled programs, activities, or services are required to obtain various clearances. If selected for employment: All clearances or updates are required at Orientation. Those that fail to obtain the required clearances by their scheduled Orientation will not be permitted to proceed in the employment process. THERE WILL BE NO EXCEPTIONS! Returning employees are required to provide updated clearances every three years. Note: Applicants are encouraged to apply online for the clearances instead of mailing in applications. All of the clearances can be found on the following website: www.dhs.pa.gov. 1. FEDERAL CRIMINAL HISTORY RECORD CHECK www.pa.cogentid.com (Credit Cards & Checking Cards are accepted) a. Exception: (15-17) Minor Children can provide a sworn and notarized affidavit that states you have not committed any of the disqualifying crimes. However if turning 18 during the course of the summer employment, you will need to submit your FBI clearances. Affidavits for minors will be distributed to those selected for employment. The City of Harrisburg is not responsible for the cost of clearances. 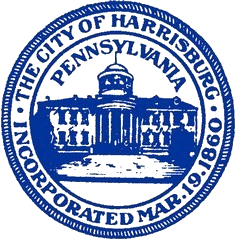 The City of Harrisburg is not responsible for lost application materials and highly recommends that you make copies of all clearances for your own records.